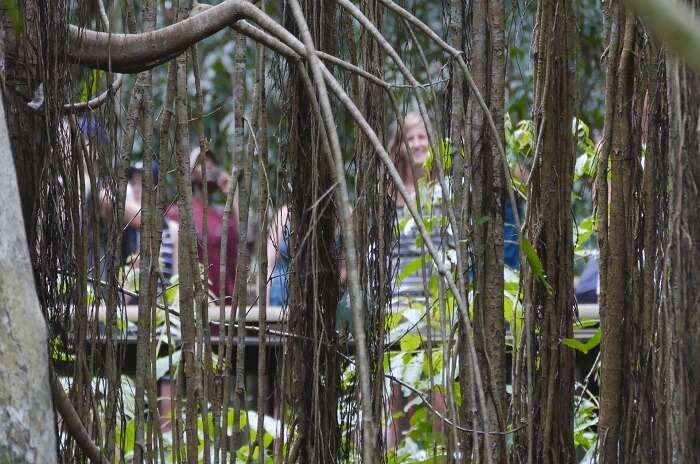 Escape the hustle and bustle of the city center and get back to nature with this relaxing and fascinating one-day tour from Cairns. We’ll take you to the sprawling expanse of the Atherton Tablelands, where you can marvel at stunning waterfalls and lush rainforests, as well as take a dip in cooling waters and spot ancient landscapes. Please note this tour does not carry children under 15 years old. Departing from Cairns, we’ll begin our day driving through the popular swimming spot of the iconic Babinda Boulders. Explore the marvelous landscapes full of sugar canes and banana farms with the stunning backdrop of the lush rainforest mountains. 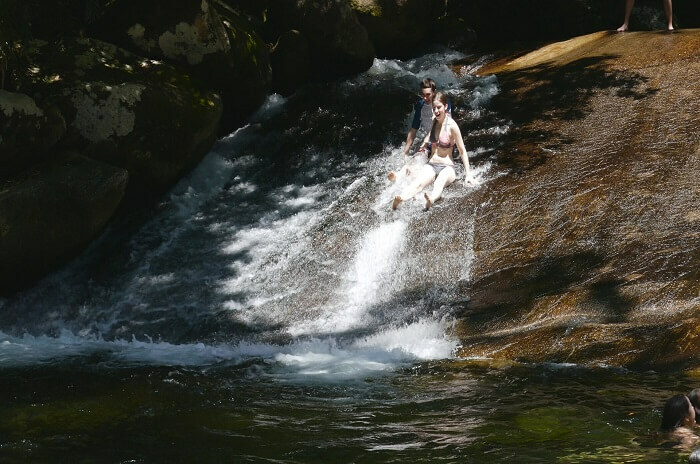 Our next stop on our Atherton Tablelands Tour is the stunning Josephine Falls, home to the crystal-clear waters and pristine white beaches – here you can enjoy relaxing or if you are feeling adventurous, slide down the natural rock slide! We continue our adventure towards to the Tablelands, where we make a quick stop to soak up the surrounding views at Crawford’s Lookout before heading towards the famous Milla Milla Falls. This waterfall is one of the most photographed waterfalls and been featured in countless TV commercials including the Herbal Essence Shampoo & Qantas Airlines. 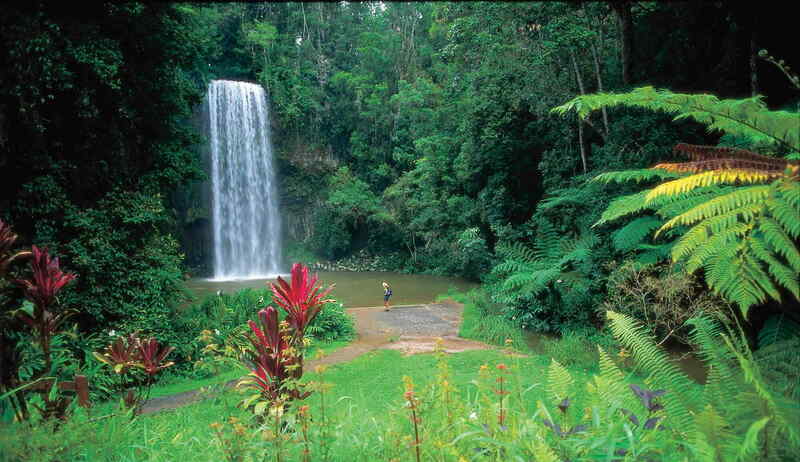 Here you can enjoy a refreshing swim in the cool waters of Millaa Millaa. 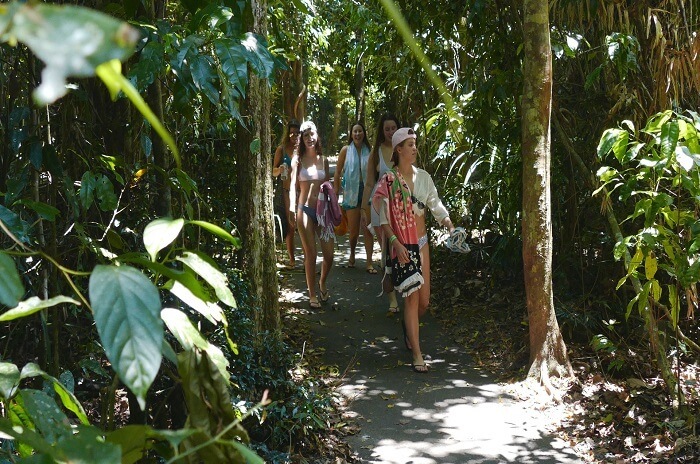 Our next stop is Curtin Fig Tree to marvel at the enormous strangler fig tree – known to be one of the biggest trees in Queensland. 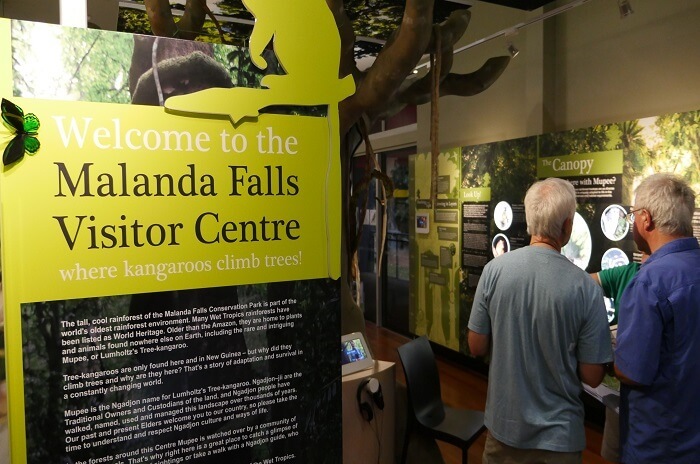 We stop for lunch (at own expense) at the town of Malanda, followed by a visit to the Malanda Environmental Park for an opportunity to spot some of the endearing tree kangaroos! Back on the bus, we continue our adventure towards the Yungbarra for some platypus spotting. Top tip – make sure to stay very quiet, as these animals are extremely shy and are easily scared off! 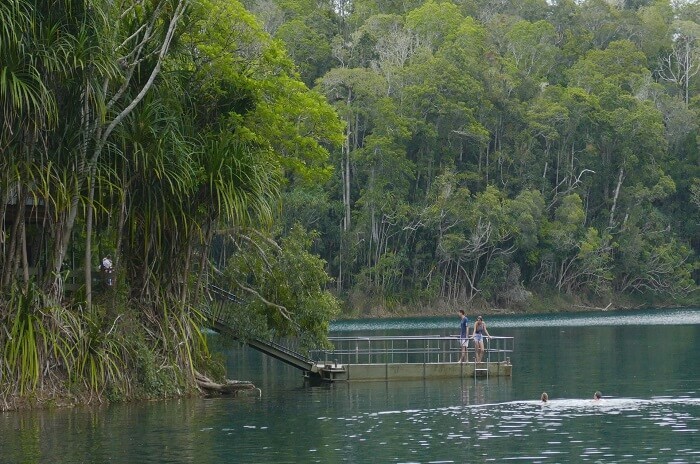 The last stop on our Atherton Day Tour is Lake Eacham, where you can soak up the stunning lush rainforest scenery and enjoy your last chance to take a refreshing swim, before heading back to the city bustle of Cairns. Please note: Lunch is not provided, however, you will get a chance to purchase food on the day.